It’s about that time of year where minds start wondering, the weather is warming up and we’re getting our first chance to get some use out of our summer wardrobes. It seems that at the first sign of the sun we all instantly crave more and rush online to book flights out of the city for our annual summer escapes. Wherever you’re going this year weather you’re planning to hit up the beach in the South of France or heading out to a festival either at home or abroad then you’ll be sure to be in the same boat, wishing away the time until you can leave work behind you, pack your bags and sip on a refreshing cocktail at 11am and not feel like a reprobate, after all you’re on holiday! The one thing that will keep any girl occupied over the weeks before you jet off is planning your summer vacation wardrobe and most importantly which swimming costume you will opt for this year. Choosing the right swimwear is a veritable mind field, one of the most difficult decisions you will have to make; get it right and you’ll be feeling body confident, get it wrong and you’ll regret it! 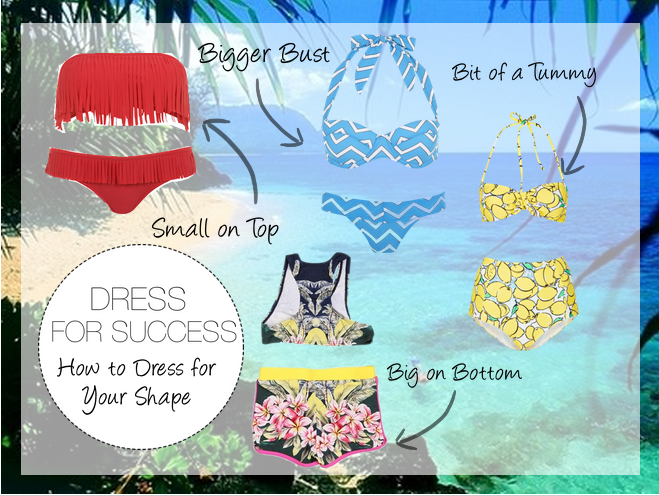 So we’re on hand to make sure you choose the right swimwear for your personal style and your shape so you feel fantastic in time for your holidays. 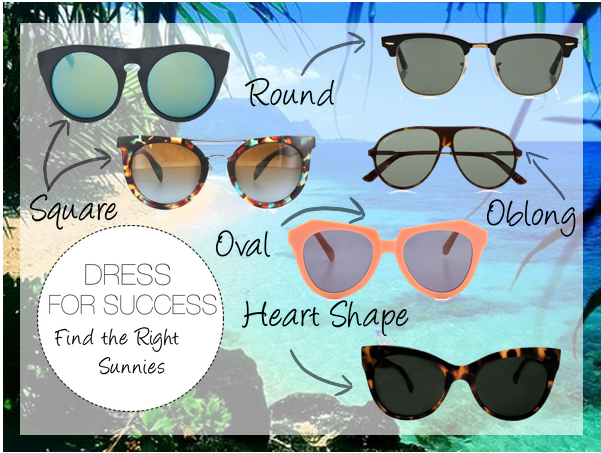 We also run through some tips and tricks to make sure you choose the right shape sunnies for your face shape just in time to hit the beach, no need to thank us! If you’re Small on Top: Fringe Bandeau – Miss Selfridge - £26 – This cool fringed bandeau is ideal for ladies with a smaller bust, the detailing will create the illusion of more shape, if you’re smaller on top then opt for fringing, ruffles or frills to add some extra curves. You can choose almost any style; steer clear of thick strapped bikinis as this might look a little overwhelming on a smaller bust! If you’ve got a Bigger Bust: Charlie by Matthew Zinc (Blue Chevron bikini) - £125 – This super stylish blue bikini is perfect for those who have a bigger bust, under-wiring and thicker straps will ensure that you’re properly held in place and avoid any embarrassing slips! If you’ve got a Bit of a Tummy: Yellow Lemmon Bandeau Bikini – Topshop - £34 – This cool lemon print bikini is totally on trend for this season, it’s also ideal for ladies who have a little bit of a stomach that they want covered. The high waisted bottoms are leg lengthening and hide and areas you don’t want on show without being frumpy! If you’re Big on Bottom: Stella McCartney Bikini with Shorts - £56 – Don’t think that shorts on the beach are uncool, if you’re rocking a bigger booty then shorts will be your savoir, you can find some super cool styles like these brilliant Stella McCartney ones. Shorts will avoid getting bunched up and balance out your shape. If you’ve got a Square shaped Face: Solid Matte Black Sunglasses - Alexander Wang - £250 – Soften an angular face with round framed sunglasses, if you have areally strong jawline then opt for pastel colours for a more flattering feminine style. These amazing Alexander Wang sunnies are perfect for a week away in the sun. If you’ve got a Round Shaped Face: Club Master Half Frame Sunglasses – Rayban - £125 – Avoid round frames if you have a round face, instead opt for a frame that is wider than your face to create the illusion of length. Rayban’s really are a classic design and there are tonnes of different shapes and styles to choose from so make sure you get a pair in a style that suits you’re colouring. If you’ve got an Oblong Shaped Face: Aviator-Style Tortoiseshell Sunglasses – Gucci - £98 – If you have a longer oblong shaped face then choose a pair of sunnies that are slightly narrower than your face shape, another great tip is to choose sunnies with gradient lenses to emphasise you’re cheekbones! If you’ve got an Oval Shaped Face: Number One Sunglasses – Karen Walker - £160 – If you’re lucky enough to have an oval face then rejoice as you can wear pretty much any shaped sunglasses that take your fancy, why not opt for something adventurous and play around with colour to find something fun that really suits you. These fun peach coloured Karen Walker sunglasses are definitely different, the shape and colour are feminine but the angles make them really unique looking! If you’ve got a Heart Shaped Face: Square Cat Eye Sunglasses – Norma Kamali - £63 – For those with a heart shaped face an on-trend cat eye style will emphasise your assets, the elongated edge will also help to balance out a pointy chin. These ones from Norma Kamali are super stylish plus with tortoiseshell you can never go wrong! So there you have it some essential summer do’s and don’ts to help you get through even the most difficult holiday dilemmas, so if your vacationing with the family in Barbados or back-packing round Asia with some girlfriends or even a weekend away in Bulgaria with the boyfriend; stick to the rules and you’ll never fail. All you need to remember now is not to forget your passport! 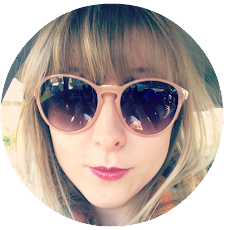 Guest Blog Post for GeorgiaBeee.blogspot.com By Lucinda Bounsall. Love your tips and the sunglasses are so cute! I definitely find it hard getting bikins as I have a bigger bust!